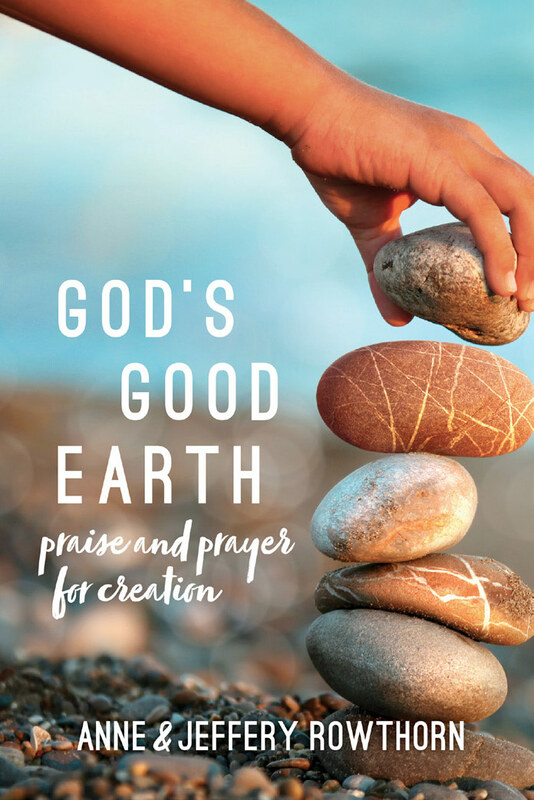 God’s Good Earth offers Christians and their communities an engaging resource forprayer, reflection, and worship that reflects and nourishes their efforts to serve God and care for God’s creation. Compilers Anne and Jeffery Rowthorn have prepared 52 beautiful, ready-made prayer services, each around a specific theme, drawing from a rich variety of ecumenical resources: psalms and other responsive readings, Scripture, hymns, prayers, andreflections from the world’s most engaging nature writers and interpreters of the social and cultural landscape. Each section can be used in full, or the user may select smaller sections; permission is granted to the purchaser to reproduce for use in public prayer. God’s Good Earth forms hearts and minds to know that transformation is not onlypossible but essential if the Earth is to survive, healthy and whole. Those who enter into thebook’s praise and prayer will have their faith in God the Creator strengthened, their gratitudefor the wonders of God’s creation deepened, and their commitment to act on behalf ofGod’s good earth enhanced. The print edition is printed with high production standards onrecycled, FSC-certified paper. Anne Rowthorn has compiled four collections of ecological writings: Earth and All the Stars, Feast of the Universe, Song of the Universe, and The Wisdom of John Muir: 100+ Selections from the Letters, Journals, and Essays of the Great Naturalist. Jeffery Rowthorn has compiled The Wideness of God’s Mercy: Litanies to Enlarge Our Prayer. His hymns have been widely published and he has compiled three hymnals. His most recent collection (with Russell Schulz-Widmar) is Sing of the World Made New: Hymns of Justice, Peace, and Christian Responsibility. This is a book born out of an immense feeling for our planetary crisis. It is a book that brings forth songs of praise and thanksgiving in an age of mourning and loss. It is an offering of hope for all those seeking a way forward, for it responds to the question of how we may affirm life and create liturgies within the anguish of our times. God’s Good Earth is offered to worship leaders and congregations as a resource shaped by our conviction that worship is the most powerful means the Holy Spirit uses to transform and equip Christians as they seek to live faithful lives, serving God and caring for God’s creation. We believe that such a transformation is not only possible, but absolutely essential if Planet Earth is to survive healthy and whole as far into the future as we can imagine and beyond. As a contribution to this journey of transformation we have prepared fifty-two liturgies, each consisting of prayers, scripture, song, contemporary reflections and silent contemplation. May those who enter into this journey of praise and prayer have their faith in God the Creator strengthened, their gratitude for the wonders of God’s creation deepened and their commitment to act on behalf of God’s good earth enhanced. Creating God, in you everything on earth and in the heavens is bound together in perfect harmony. If we lose the sweetness of the waters, we lose the life of the land. If we lose the life of the land, we lose the majesty of the forest. If we lose the majesty of the forest, we lose the purity of the air. If we lose the purity of the air, we lose the creatures of the Earth. Open our eyes to behold your creation. Create in us a new spirit of awareness of our place in your delicate balance; transform our hearts that we may reclaim our sense of awe and wonder. Quicken our understanding that we may acknowledge our responsibility and strengthen our resolve to work with you for the healing of your creation; through our Holy God, Savior of the world. Amen. God of simplicity, God of justice: we have stored up treasures on earth that moths and rust are corroding. Open up our treasure houses and our hearts that we may freely share our possessions with all in need. God of simplicity, God of justice: Open our hearts and hands. God of simplicity, God of justice: Break down every gate, open every gated community, and crush every lock that keeps goods from those in need. God of simplicity, God of justice: Remove from our hearts the desire for more and more consumer goods. God of simplicity, God of justice: Strip us of what is excessive in our lives: clothing, jewelry, automobiles, electronics, the myriad purchases that do not satisfy. God of simplicity, God of justice: Turn us from being hoarders into sharers, for it is in giving that we become rich; it is in sharing that we become loving. Opening our hearts and our hands, may we stand with our sisters and brothers, freely giving and receiving. For where our treasure is, there our hearts are also. God of simplicity and God of justice: Open our hearts and hands. to find in you fresh hope and peace. to live at peace, one family. to making peace with earth this day. proclaim to all: Salaam! Shalom!